Make a cat tent with an old shirt. Pull an old t-shirt over a box so that the neck lines up with the box’s opening. 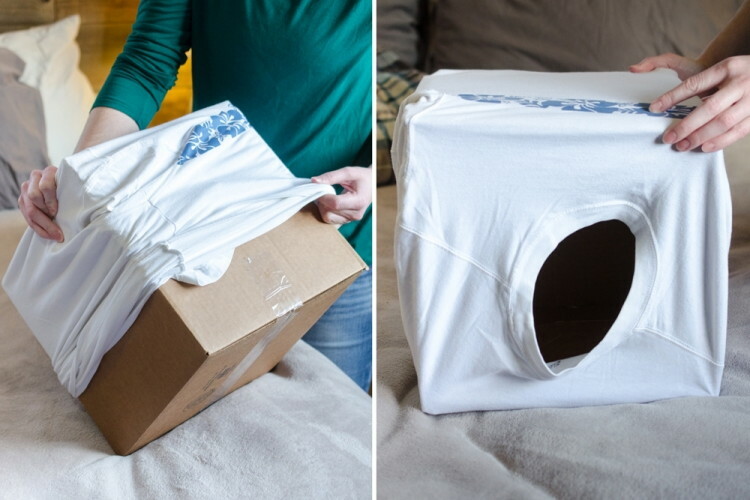 Tuck the sleeves in against the box to make the sides look neater, then show your cat its new cozy cat cave. I love this one, because how easy is it to wash the T-shirt and disgard the box for a new one every so often. I bet my Louie would love this. Such a simple but great idea indeed.